Solo: A Star Wars Story: Do droids deserve emancipation? ‘Solo: A Star Wars Story’: Do droids deserve emancipation? 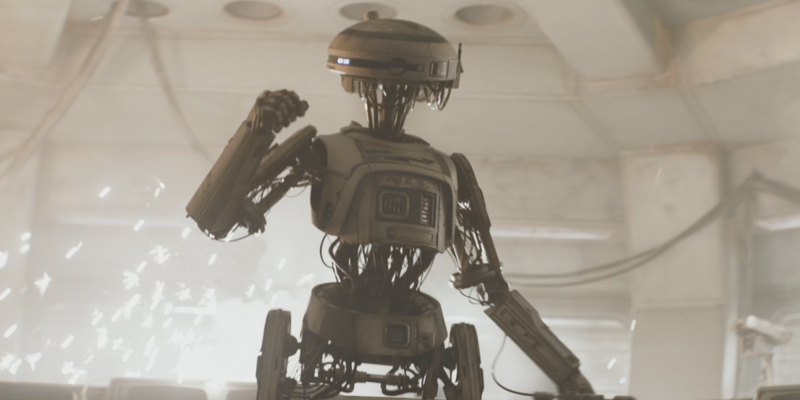 We’ve always known that artificial intelligence in Star Wars has advanced capabilities, but Solo is the first instance in which we see that taken to another level. If a droid is self-aware, does that entitle it to freedom? 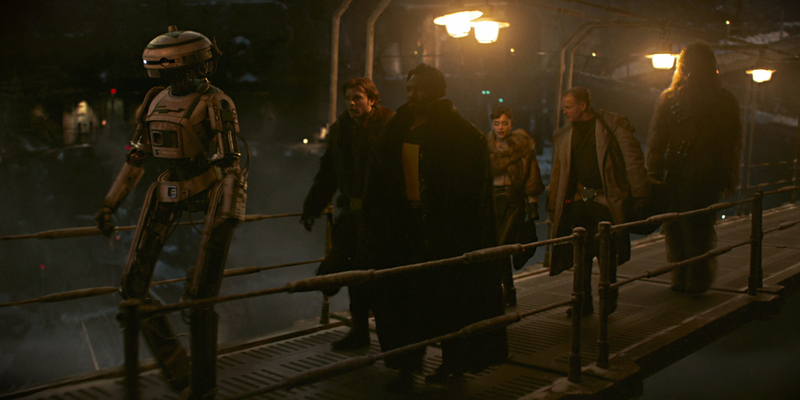 One of the most memorable characters of Solo is L3-37, Lando Calrissian’s droid, first mate, and potential love interest (?). (By the way, she’s played by Phoebe Waller-Bridge, the creator of the amazing Killing Eve). 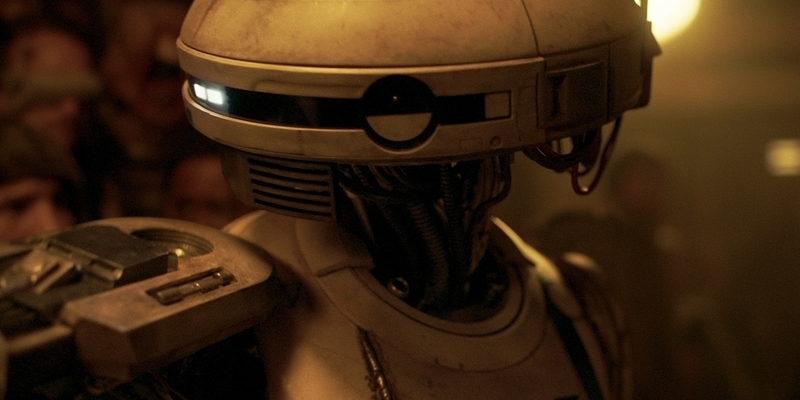 Outspoken for droid rights, L3 is the only droid character who has manifested an awareness of the concept of freedom and interest in pursuing freedom from her creators. While she isn’t actively trying to escape Lando, she often snarkily remarks upon her own “enslavement,” and spends much of her time in the movie calling people out on droid abuse and freeing droids from their roles in the mines. Droids have notably been the highlight of the Star Wars saga, with R2-D2 and C-3PO setting the precedent and BB-8 and K-2SO more recently. While many of them have been fearless and outspoken, and others sarcastic toward their “owners,” none of them have manifested a desire to be free from their obligations as droids. L3’s dilemma is a strange storytelling choice for a story that is ostensibly a fun ride full of comic relief. But it does mirror some of Han’s own journey in pursuit of his own kind of freedom: in his case, to have a ship. This raises a lot of questions. Is Solo portraying L3’s mission as one of equal worth to Han’s? Though L3 often talks about freedom, and carries out actions to free other droids, she never really seems to resist her own role. Is this out of some form of loyalty to Lando and their perceived partnership? Or is it part of her programming that prevents her from ever being truly independent — or even handling the notion of her own freedom? At the end of the day, is L3 even capable of really being free? Are any of the droids? The uncomfortable part of L3’s subplot is how similar it is — for Harry Potter fans, at least — to the house-elf situation in J.K. Rowling’s books. House-elves are never given rights because, according to witches and wizards, it’s in their nature to be enslaved. People believe that freeing a house-elf would go against their nature and ultimately harm them more than do them good. But in Harry Potter, it eventually becomes evident that house-elf enslavement is in fact, amoral, and that the complacency of the Wizarding World is a despicable attitude. Perhaps because of these parallels with Harry Potter, or perhaps because of the parallels we see in real life when people fight for their rights and are ignored, every scene in which L3 says something about equal rights for droids feels profoundly uncomfortable. It’s clear that no one else agrees with her, but they put up with it as long as she does her job. Lando even has a few playful lines about how he would wipe her memory if it weren’t for convenience’s sake. Yeah, it’s playful — but it feels an awful lot like Hermione with S.P.E.W., except less funny and just really, really uncomfortable. Because if L3 is right, the complacency shown by the humans around her is an appalling thing. And if we follow that train of thought… a lot of Star Wars ends up being horrifying if we see it through L3’s eyes. Are R2-D2, C-3PO and BB-8 slaves? That’s just not something we want to think of as a fandom. It is possible that L3 was merely programmed to want freedom. Lando might have wanted a droid with an attitude, and thus gave her the personality she has. But if a droid can be programmed to want freedom, doesn’t that make it entitled to it? The fact that L3 can understand the concept of being free of human commands makes her current existence a form of oppression. What an uncomfortable thought. And it all seems to point to the fact that there’s a budding discomfort in the galaxy — a potential for some form of widespread droid rebellion. (Although, considering the timeline, it seems strange that we saw no sign of this at any point after Solo, throughout Rogue One, the original trilogy, and the new Star Wars movies.) Even worse, it points out the fact that the rebellion — which fights for peace and freedom of the galaxy — does not seem above its own brand of slavery. Things are considerably easier, morally speaking, if we can just dismiss L3 as being a rogue droid. But we can’t really; the rebellion in the mines spoke for itself. What’s odd is that Star Wars decided to go with this angle, knowing the moral dilemma it was backing itself into: yeah, it’s funny at first glance, but not so much once L3’s discourse starts to mirror the discourse of many oppressed groups in the real world. It feels wrong, somehow, to find that funny. Do droids deserve emancipation? Is this something we’ll need to have stances on now? Solo has put us on uncomfortable moral ground, and I’m not sure how we should grapple with it.